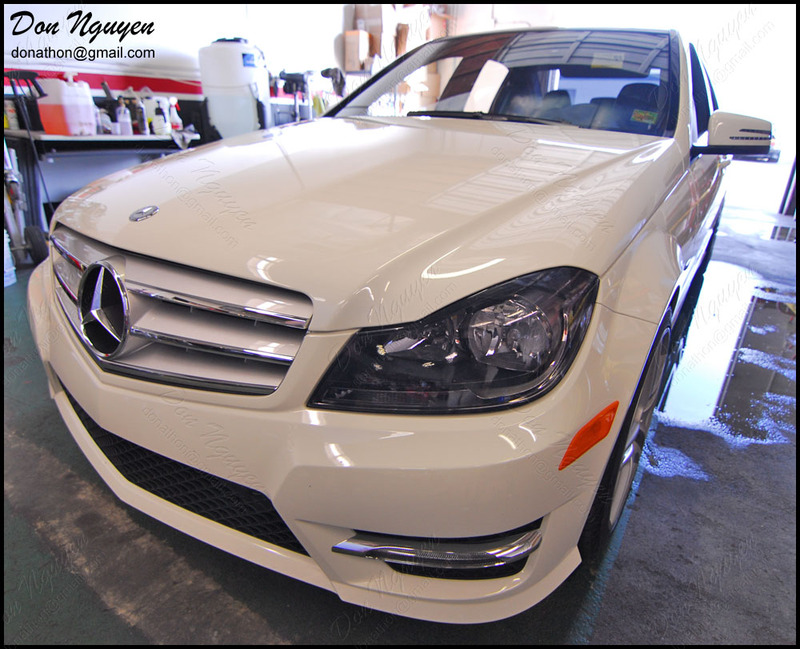 Tinted / smoked the headlights on this new white C250 Mercedes sedan with the new lighter shade of tint that I have been using. The darkness of this tint is about half of other tint shade that I used to use. This shade of tint is light enough to still allow a good amount of light through it, so that not too much light output is reduced, but it is still dark enough that it still tones down the head lights / tail lights that it is being applied to. The owner of this car came out to me from around Corona to Orange County / Anaheim Hills to get the vinyl work done. I also blacked out the chrome and the roof on this same car.